Okay, I will be real honest with you guys. Getting pregnant and giving birth are two of the most time-consuming things a woman can ever go through. What with prenatals, birth classes, shopping, giving birth and actually having kids occupy so much of our time that we sometimes forget that we need to look put-together too. Of course, I don't live in a cave, I am aware of well-known make-up brands today, but really, I can't seem to find the ones that would suit my sensitive, aging, skin. I have tried so many different make-up brands before, though I am not really on the make-up artist level, I know that a good, quality make-up line can help you achieve that well-put and professional finish that every woman wants to achieve. Just recently, I was invited to a product re-launch for bloggers. 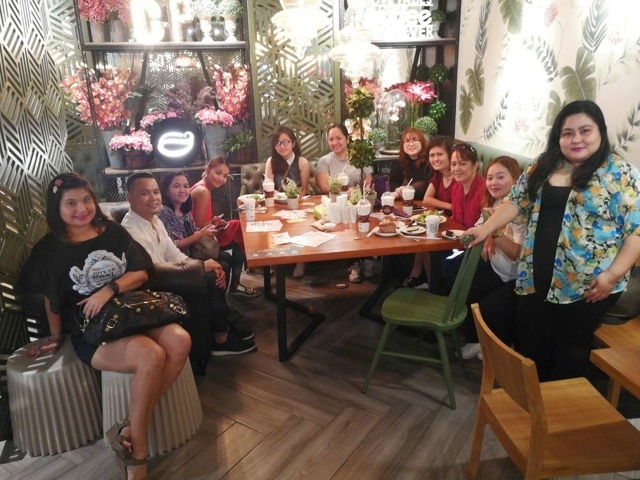 A small, intimate event held at Coffee Project in Makati. Okay, before I give you my beauty recommendation and feedback, let me give you a bit of a background regarding this wonder make-up brand that I discovered. Mosp is a Korean word that mean beauty from within. Born in a clean environment in Gangwon-Do, the cleanest area in Korea. Their skin care and make-up line are created with fresh air and perfectly purified natural water drawn from an altitud of 650M. Their products contain healthy vegetable extracts from a cool region with high altitude. Mosp has a complete line of skin care and make-up line that completes an 8-step daily skin care regimen recommended for women. 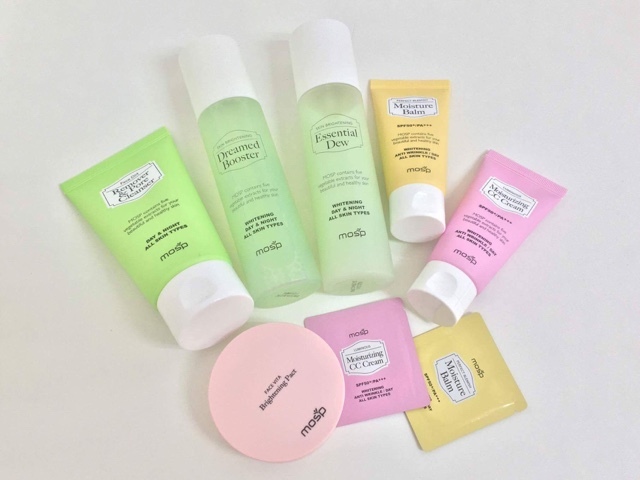 I will be able to give you a review and recommendation of the Mosp maquillage line. I am at the protect and control steps and here's how it goes. After bath, I start my make-up regimen with a good moisturizer. 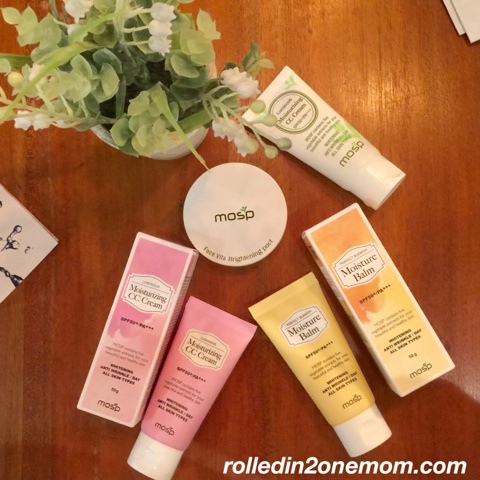 This time, I decided to switch from my old brand to the Mosp Perfect Blemish Moisture Balm. On their product info, the Moisture Balm is your skin's defense against the damaging effects of sun exposure. The Perfect Blemish Moisture Balm is recommended for full coverage. If you have scars or blemishes that you want to hide, I recommend the Perfect Blemish Moisture Balm. It offers a smooth, flawless yet natural finish. 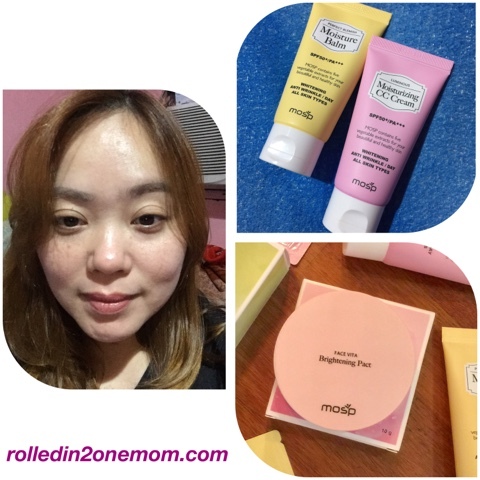 To me, the Mosp Perfect Blemish Moisture Balm is light on the skin, it can stand as a perfect day cream alone without adding foundation as it has a natural finish for that "I woke up like this" look. What I do, is I put on the moisture balm, apply Mosp Face Vita Brightening Pact, apply light blush-on and lipstick and voila! I'm all set for the day. 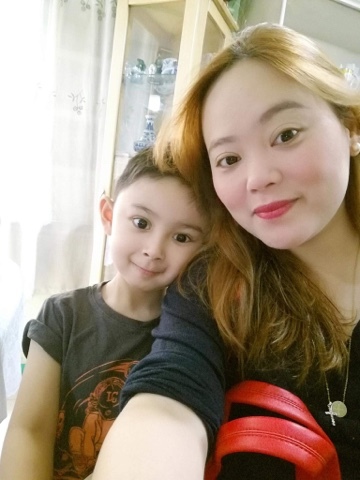 Sundate with my little boy. ❤️ This is what Mosp Perfect Blemish Moisture Balm + Mosp Face Vita Brightening Pact can do to my overall look. Now, there is another choice if you wanna go for sheer coverage, this is my new favorite day cream/CC Cream. 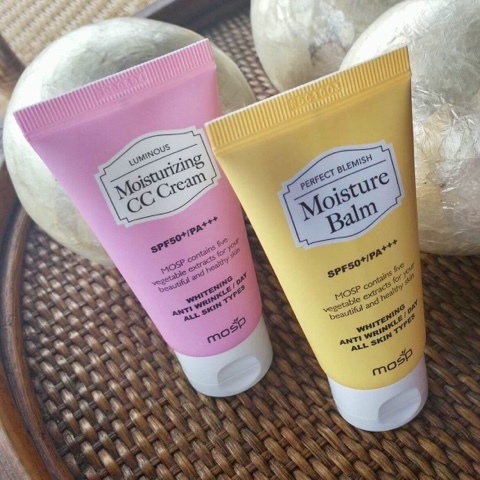 The Mosp Luminous Moisturizing CC Cream is lighter than the Moisture Balm. It provides sheer coverage with less pigment. What I like about the CC Cream is that it hides discoloration and still give you a natural, fresh look on days when you don't feel like putting on too much make-up. 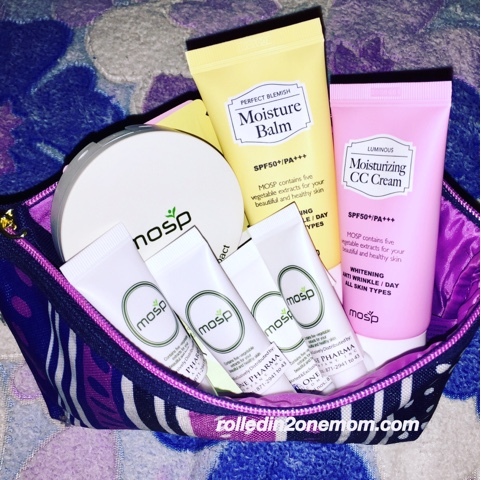 Like what I said the moment I used the Mosp Luminous Moisturizing CC Cream, it's something I can't live without now. A trip to the market or the grocery store is added with a little confidence boost whenever I put it on. 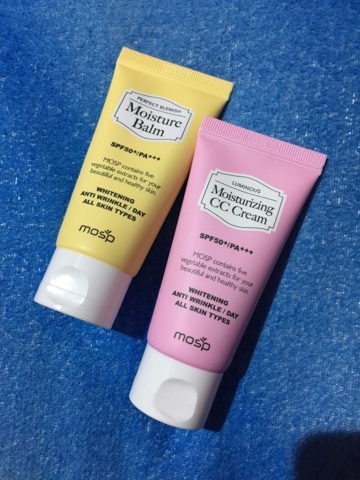 The MOSP Luminous Moisturizing CC Cream has sheer coverage. I applied mine in the morning and just had to use the Face Vita Brightening Pact to keep it shine-free. Now, if there's one thing you need to have handy all the time- it's the MOSP Face Vita Brightening Pact. 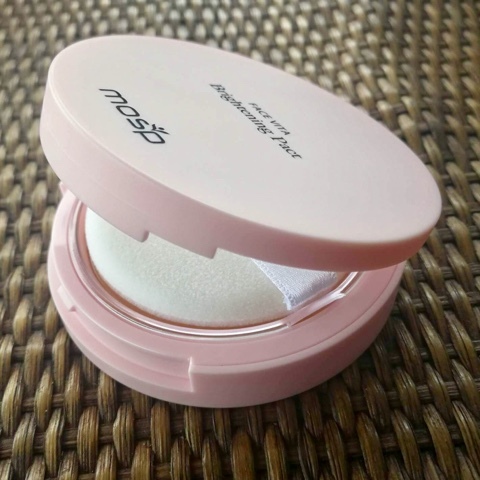 It is has no tint, just a compact powder that you need to use to keep your forehead, cheekbones and nose area shine-free. The Face Vita Brightening Pact keeps your look flawless even after a whole day of being outside without too much retouch. I have become dependent on the Mosp make-up line. I like how it has shortened the time I spend in front of the mirror everyday trying to achieve that "effortless" yet "sosyal" look that each woman wants to achieve. Their make-up line is also kind to my sensitive skin as I have proven that their ingredients will not harm me. Another thing to love about Mosp products is that they smell good. A hint of green tea scent greets my nose everytime I put make-up on. A welcome vacation from other cosmetics that smells like you are inside a clinic. Not kidding. Okay, the white ones are the products in their old packaging. Mosp Products now come in yummy, feminine colors. To those who are asking, of course, being beautiful doesn't come cheap yet it doesn't have to break the bank too. 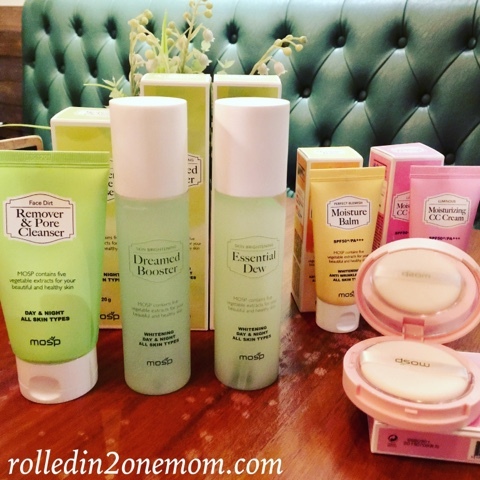 The MOSP Perfect Blemish Moisture Balm (50g) is valued at P911 pesos, MOSP Luminous Moisturizing CC Cream is priced at P955 and the MOSP Face Vita Brightening Pact is valued at P977. Reasonably priced especially for us Moms who work on a budget. Right? 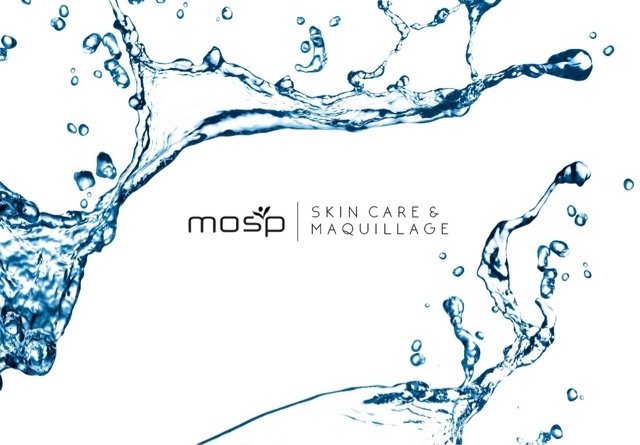 If you want try their skin care and maquillage line, check out their Facebok page: Mosp Philippines.